This 6-inch long plastic spring clips are great for photography, fabric backdrops and green screen, painting and other craft projects. The spring mechanism keeps muslin clamp tight, making it strong enough for any project! 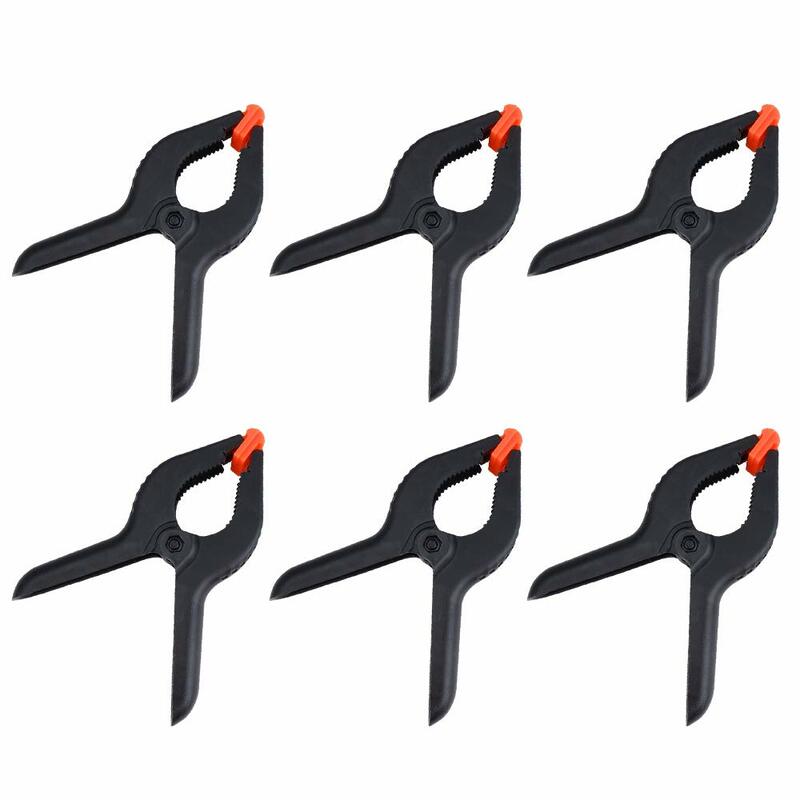 Grip clips are made of hard, textured plastic for durability and longevity. The orange endpoints pivot to grip odd-shaped objects, materials and angles. Textured handles help to give you a better grip and more control. Clips are 6 inches long. The clamps measure approximately is as the picture shows, opens about 2-2.5 inches. Made out of solid heavy duty plastic and metal. Package included: 6x 6-inch spring clamps.